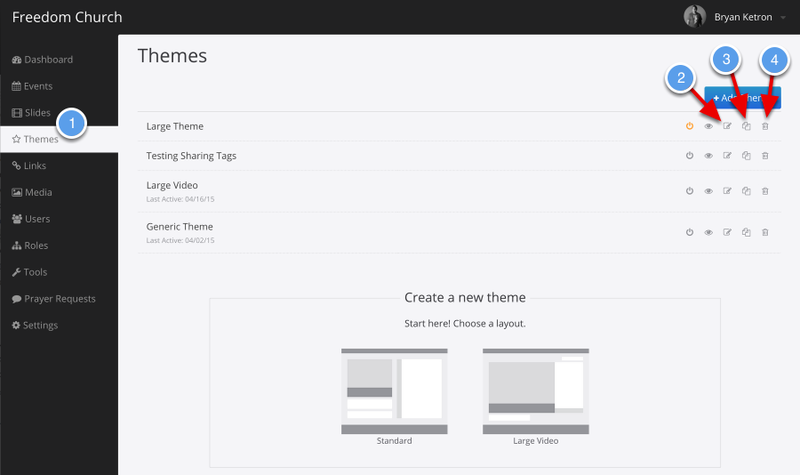 The ability to edit, copy, and delete themes can be a time saver and allow you to quickly make small updates to a theme without having to create an entirely new theme. Copy - Select the Copy icon to create a new theme using the same content from the theme you are copying. Delete - Select the Delete icon if you are wanting to remove the theme. This is permanent and can&apos;t be recovered.